Prior to the 2008 Presidential Election, Senator John McCain (R-AZ) was often the moderate voice from the GOP in the Senate. He often “reached across the aisle” in bi-partisan negotiations throughout his career. Often, he still does. 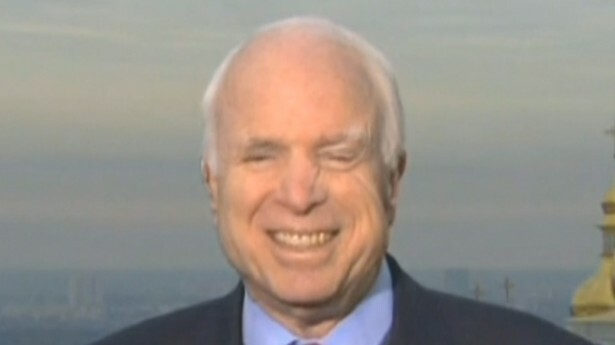 Unfortunately, Old Man McCain does not seem to improve with age. In fact, the older he gets, the more he reminds one of their embarrassingly drunk Uncle at a wedding. When Nelson Mandela passed away recently, President Obama and his family attended a memorial in South Africa. While there, Obama was seen and pictured shaking hands with Raúl Castro, current leader of Cuba. For some reason, this blew a lot of people’s minds on the right. Before you could say “Healthcare.gov is down, again”, they were all over right wing media expressing their distaste for this action.